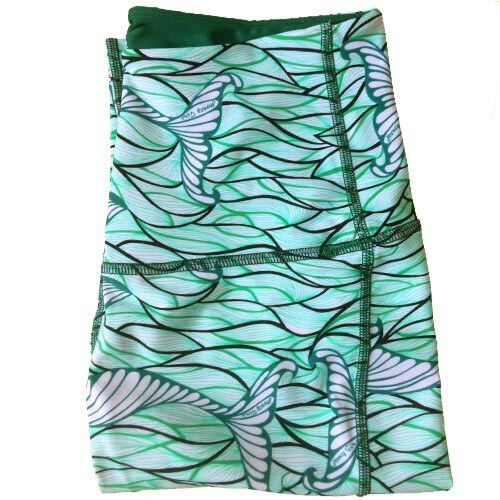 UPF 50+ Rebecca Hi-Rise Capri, Mermaid Tail Print, Color Green. Fold over waist to adjust for hi-rise or lowrise. Solid Contrast Solid Forest Green on the inside waistband. Dries quickly. No center seam (no camel-toe). Comfy sizing, not too tight. If you use for the ocean, we suggest going DOWN a size. 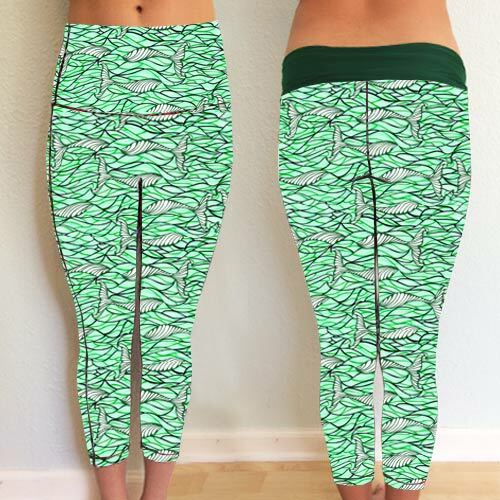 Perfect for yoga, workouts, and all water sports. XXS-XXL available.